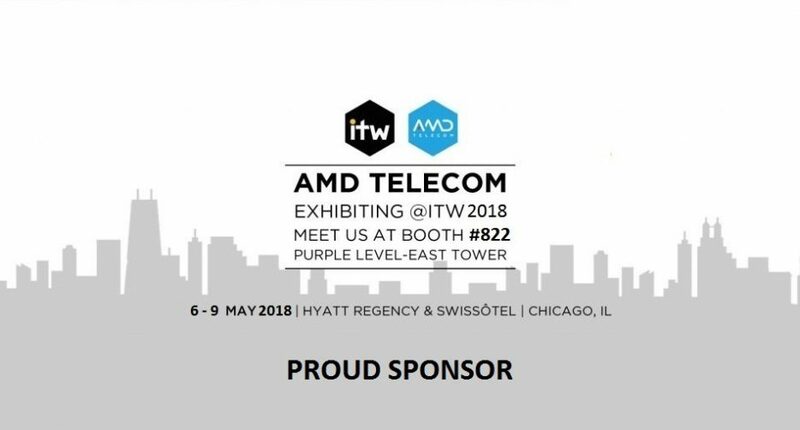 Connect with AMD Telecom @ ITW2018 — AMD Telecom S.A. This May, from 6th to 9th, we’ll be exhibiting at ITW 2018 which will take place in Hyatt Regency & Swissôtel Chicago, IL. As last year, our company occupies a booth, with the number 822, Purple Level, East Tower. Don’t miss out on the chance to talk with our team and find out all about our newly designed service to combat voice frauds, Number-lookup, as well as find out all about our SMS business solutions, security and many more (SMS & Voice Connectivity, A2P Monetization, HLR, Data & Financial Clearing, SMS/SS7/EIR Firewalls, Roaming services). This year, we have the privilege to be the official Host Sponsor for Messaging & SMS Network on Sunday 6 May 2018. Be sure not to miss our CEO’s, Dimitrios Rokos, speech!